Dog training is one of the very first, most basic, and most essential steps of being a dog owner. Obedience is extremely practical and useful. 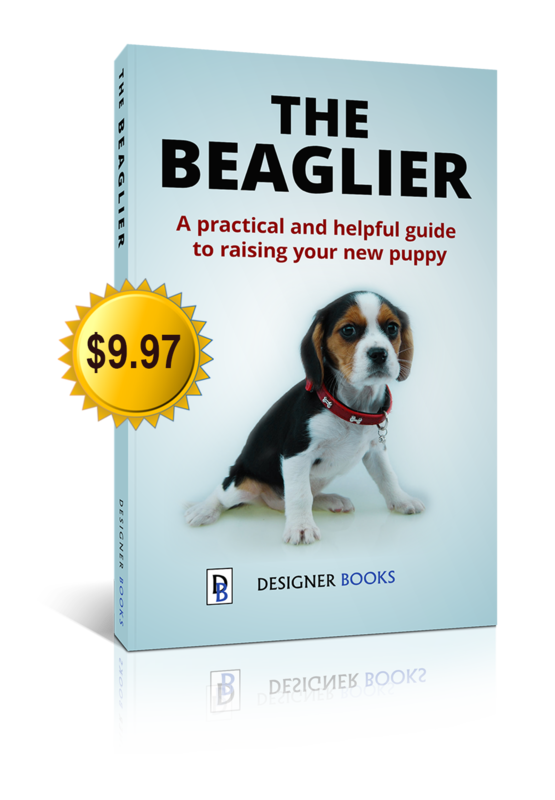 A Beaglier that is properly trained is much easier to manage, control, and in general own than a dog who doesn’t know any commands and tends to do whatever he pleases. Training a dog is also a wonderful bonding experience between owner and pet. It teaches trust and helps to develop companionship. It helps the dog to understand that you are the alpha and he is to obey you. Aside from that, dog training can even be a lot of fun. Teaching your pet how to do new tricks can be fairly exciting. Teaching a Beaglier to sit is one of the most basic commands taught by most dog-owners. It is simple, easy for a dog to understand, and often one of the first tricks many dogs learn. Teaching Beagliers to sit generally, also, comes in quite useful and handy. This command, when fully learned and taught correctly, is a smart way to control the animal. It keeps them still in one place, and anyone with a dog knows that sometimes that is exactly what is needed. In situations where a dog is meeting a new person or another fellow dog many owners advise getting them to sit. This means that their tendency to get over-excited, and possibly jump up, will not come into play. Many dogs have learned that sitting politely is one of the best ways to get the attention of someone and make new friends. 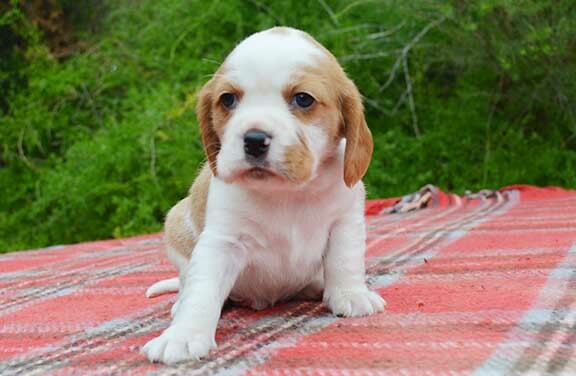 Another reason that “sit” is one of the best first commands to teach your Beaglier, is that, aside from being easy, you will after that point have your dog’s attention. After you get that first command down your pet will have a better idea of how training works. It is a give-and-take relationship where your dog obeys and is then rewarded. This can be a pleasant experience for both of you, especially after the dog understands this. Different methods for teaching a dog how to sit tend to work better than others. All of this depends on the individual dog, his personality, and his age. One of the very first things to keep in mind while training a dog—especially a puppy—is that they have a limited attention span. That means that they likely won’t catch on immediately. It will take time and patience to train your Beaglier, but the rewards are always well worth it. Be sure to give your dog breaks (don’t try for long periods of time without pause) and that you are positively rewarding them. Negative training is rarely recommended. It is also prudent to find a good, appropriate place to train your dog. Someplace that is quiet and devoid of certain distractions is the best route to go. You can’t blame your Beaglier if outside stimuli interfere with the lesson. It is also best to have a place where the dog is relatively comfortable; not someplace they may be fearful or overly-excited. A quiet, secluded room inside a building tends to be one of the most ideal locations. This generally grants the owner more control over the dog’s activity and it also makes it easier to keep their attention, because you are less likely to be interrupted. If you try doing this in your home it might be wise to take some precautionary measures and think through how you can avoid distractions. You might want to tell the other people in the house to steer clear for a while. You likely won’t have as much success if you train the dog outside during the first few times. Pay attention to his moods so that you know when he may need a break. Once you are properly situated the lesson can begin. It is vital that you have a treat to reward your Beaglier with, and make sure that you clearly use the word “sit.” Don’t confuse your pet by using other commands or a lot of other words. Stick to the singular word “sit” and when he does actually sit down, you must praise him. This will make it easier for the dog to grasp what “sit” means and what you expect. Show your Beaglier the treat so that they are aware that you will reward them. Position the treat about two inches above your dog’s head. If you keep the treat up too high they may jump up for it. Although it may seem surprising, holding the treat too far away will likely prompt them to try and grab it more than if you keep it closer. You can even move the treat behind their head, once they realize it is in your hand. Having it at the right distance makes most dogs sit naturally. Of course, when he does as he is told, reward them with the treat and sufficient praise. Sometimes petting them causes them to stand up, so you may want to avoid doing this. 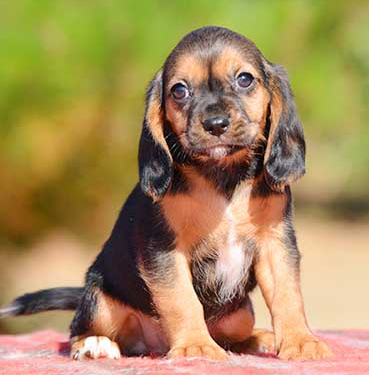 If you are dealing with a puppy or a slightly more rambunctious and active Beaglier then you can use some gentle physical guidance to teach your dog how to sit. Use a leash or a harness to better control the dog and reinforce positive behaviors. Using a leash will keep them at your side so that you can get their attention. In some cases a harness may work better. You may not need a leash at all as long as the dog will stay by your side. Stand right next to the animal and tell him to sit while gently pushing down on his backside, right above the hind legs. This tactic should be done gently, without force and without hurting the dog. If it still does not work then simply walk him around for a few moments and try again. You may have to be extra patient. Once the dog finally does sit, keep your hand on his hind end and make sure he sits for about 30 seconds so that he understands that this is what you want from him. You will of course want to repeat this process. If you need you can always try changing environments. Slowly wean the dog off of treats so that he learns to sit even if you don’t feed him. It takes practice and persistence but teaching him to sit is the basic building block of Beaglier training.